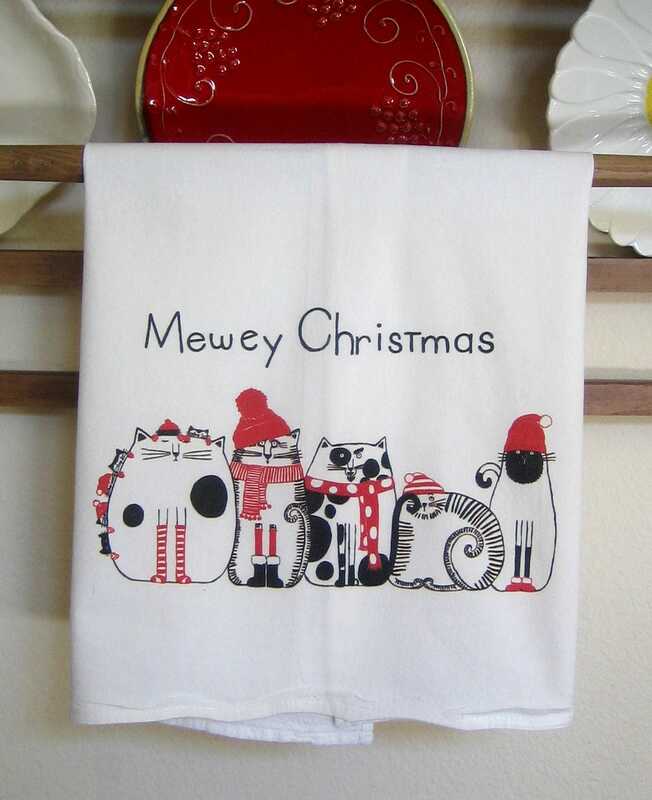 CHRISTMAS Cats Kitchen Towel -Mewey Christmas! Cats in a row in their Winter hats and scarves, ready for chilly yet festive weather, maybe some caroling. 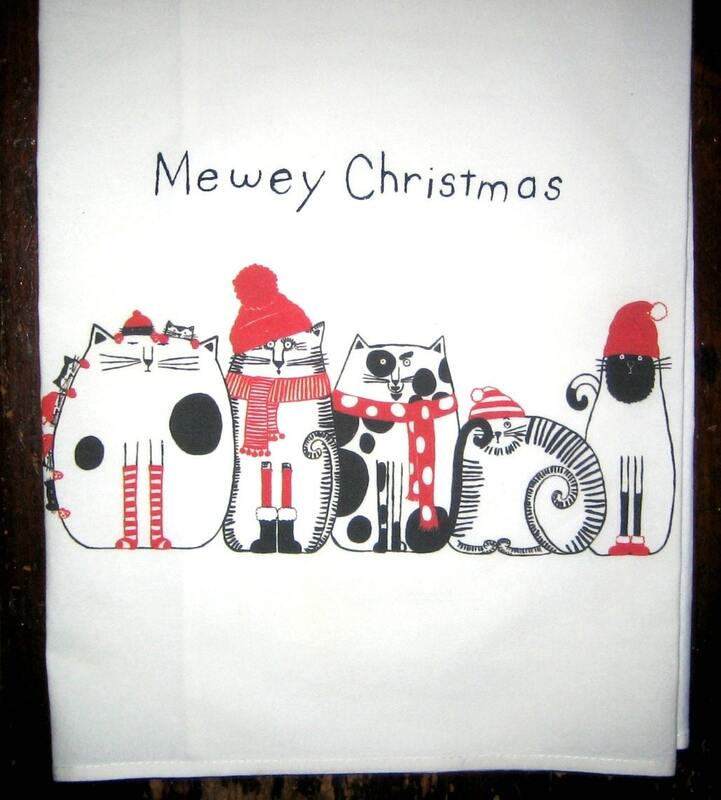 Mewey Christmas written above cats for a festive greeting. Digitally printed from original illustration on large, white, cotton, kitchen towel, 28x29 or 30x30. Design is appx 11 across and is printed center, along bottom edge. Towel is large, nice quality, and is meant to be used and design is a picture on the towel, not an overall print. Design is meant to be shown when towel is folded over oven handle or a towel rack.